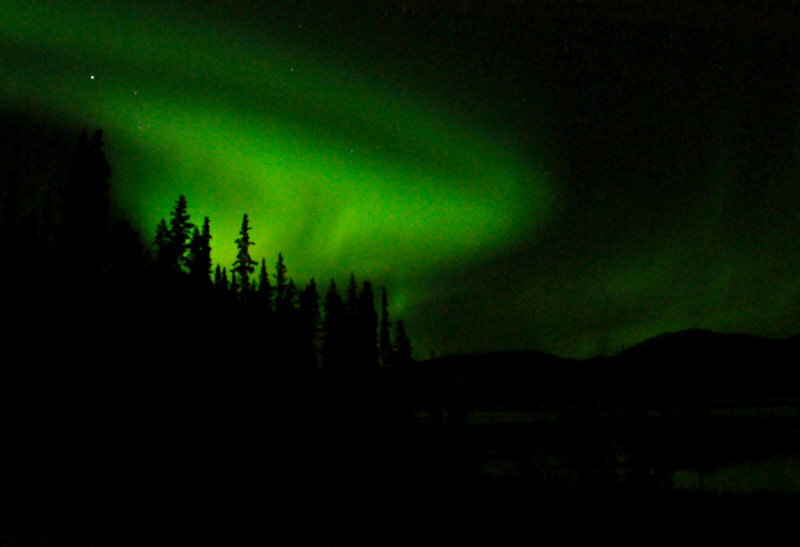 When I arrived in the Yukon, I announced to my guide that I wanted to see two things: a moose, and the northern lights. 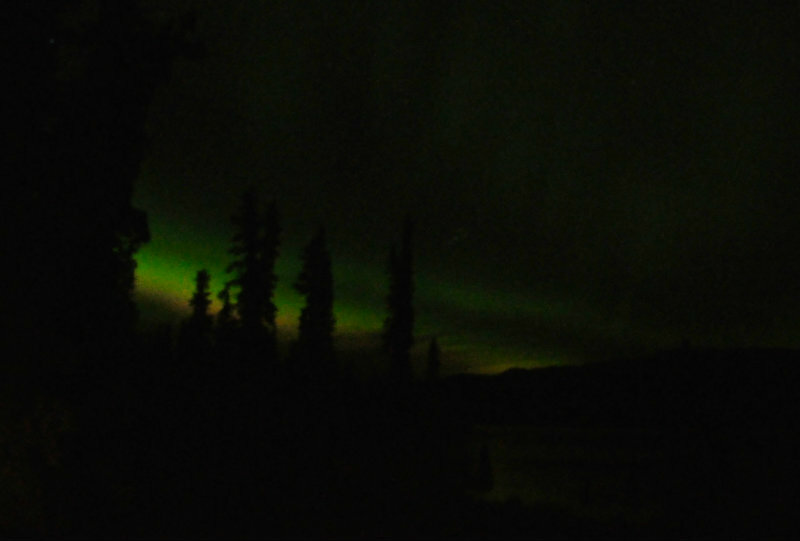 I knew better than to expect the aurora borealis – also known as the northern lights – on demand. There was a time when I was obsessed with seeing them. 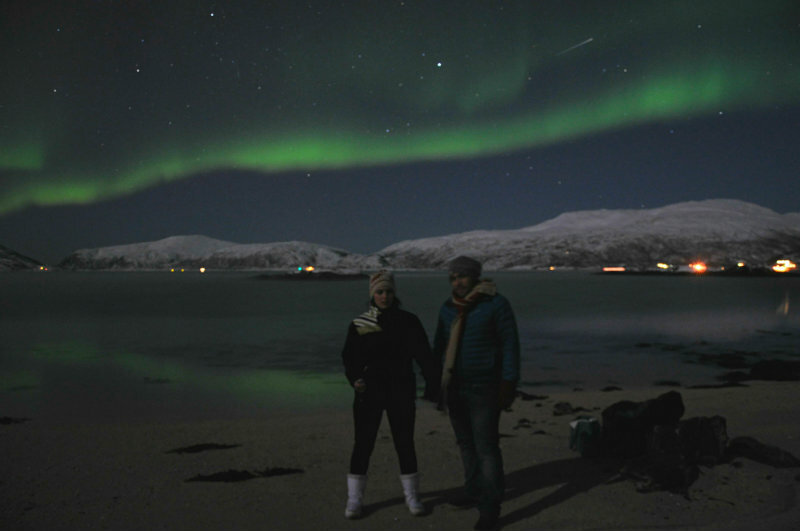 I travelled to Alaska, then the Arctic Circle in Finland, and then to northern Norway, where I finally saw the green lights dancing in the night sky. Last year on a flight from Vancouver to London, I was woken by the pilot informing us that if we looked out the window, we might see something spectacular. Sure enough, the northern lights were putting on quite a performance, and after chasing them around the globe for so long it was amazing to me that I could see them mid-air like that. 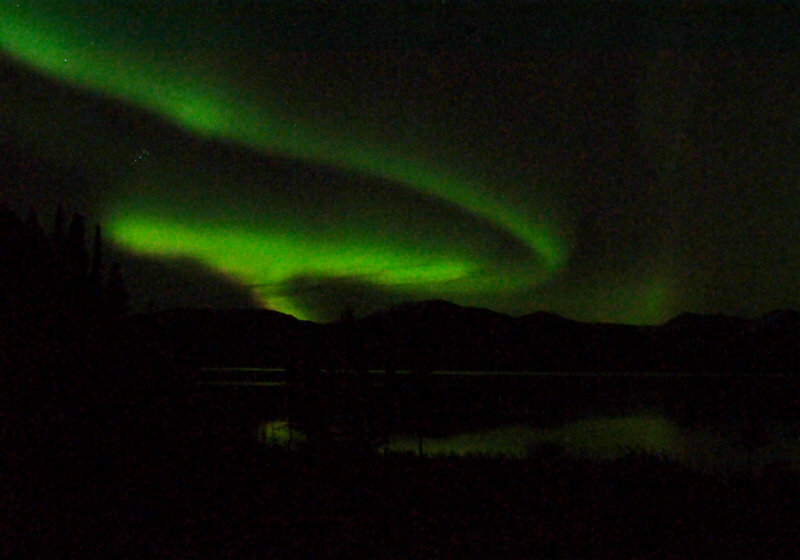 So I knew better than to expect the aurora to make an appearance with just one week in the Yukon. They don’t work like that. But I still couldn’t help hoping, despite plenty of warnings from locals that they might not show. 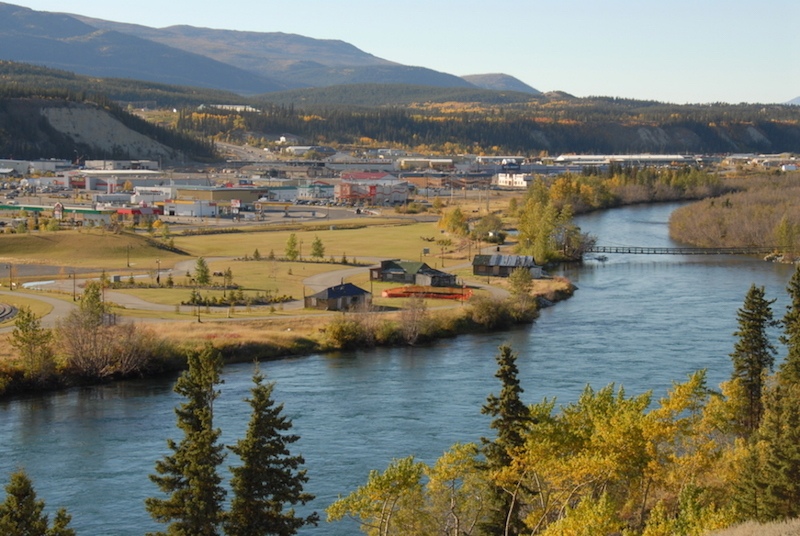 On my first night outside of the city of Whitehorse, I got ready for bed hopefully, with an alarm set for every two hours and a promise from the staff that I’d be woken if the lights were spotted throughout the night. I wasn’t even in my pyjamas when there was a loud knock on my door. Was there a bear in the area? A fire somewhere? No. It was the northern lights! 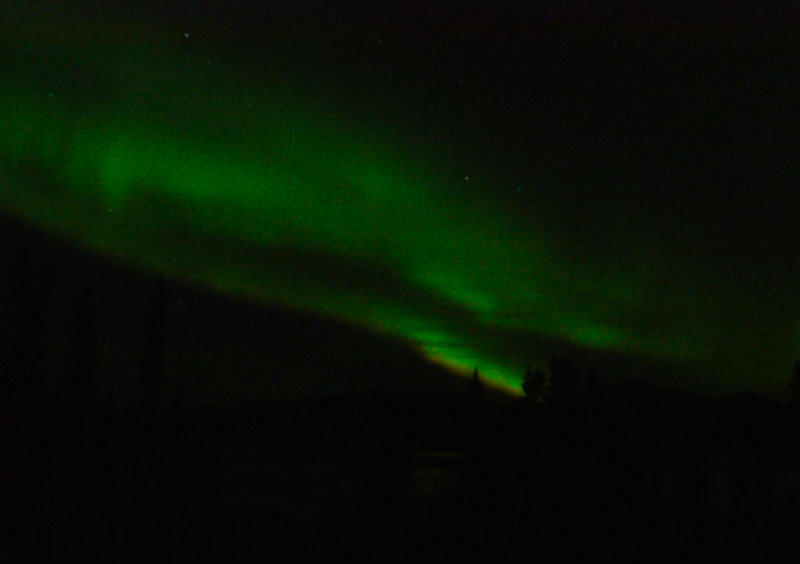 I was lucky enough to see two incredible displays during my trip to the Yukon, which brings my total northern lights spotting tally to five! Having chased the aurora borealis successfully (and unsuccessfully) I’m sharing my top tips to follow if you’re searching for the northern lights in the Yukon and beyond. Before we get into how to see them, let’s take a look at what actually causes this spectacular natural phenomenon. I found a definition that makes some sense to me, although in the end I’m just convinced that it’s real, live magic. Here’s what science says: the aurora borealis is caused by collisions between electrically charged particles from the sun that enter the earth’s atmosphere (source). AKA magic, am I right? 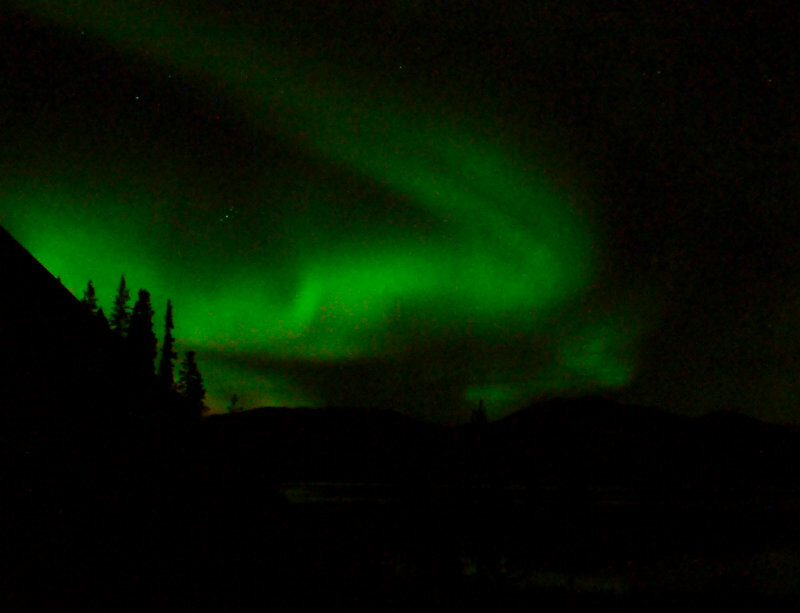 There are many different beliefs traditionally held by First Nations bands about the northern lights. Some believe that they are souls of people who have passed away, making their way to the afterlife, or trying to contact the living. Others claim that they are the souls of unborn children. But whatever you believe, you can’t help but feel awed by the spectacle. The few times I’ve seen the northern lights, they’ve started as a white-ish band across the sky that could easily be mistaken for a low, thin cloud. It can look a little bit like city lights in the distance, but if you keep watching, you’ll notice movement that you’d never see from a cloud or light pollution. If you’re lucky, you’ll see the band start to split and sway – the colour becomes more intense, usually green, but on rare occasions it can be pink, blue or purple as well. You might see rippling movements, or waves that are known as curtains. When things really get going, the light twists and twirls – dancing is really the only way to describe it. One thing that really surprised me when I first saw the northern lights is that they don’t look the same as all those vibrant green photos you’ve probably seen online. The colour and movement is far more subtle (although still bright and breathtaking), but because cameras need a long exposure to capture them, the whole scene looks brighter and deeper in a photograph than it does in person. Okay, so now we know what the lights are and what to expect from them, here’s how best to see them. No matter where in the world you’re searching for the northern lights, don’t try to do it in a city, as the light pollution will obstruct your view. Whitehorse is an incredible base for an aurora hunting holiday, as it’s so far north the lights are often seen around the area. But don’t just stay in the city. If you’ve rented a car, you can drive just ten minutes out of the downtown area, in pretty much any direction, and your view will be clear and unobstructed. If you don’t have your own means of transport, contact one of the many Whitehorse northern lights tour companies to be taken to a local viewing spot. Although you don’t need to go far to see the lights, there’s nothing better than being able to watch them all night (like from one of these lovely huts), without having to return to your hotel in the city. The Yukon is all about wilderness, so if you have a chance, take a few nights to stay somewhere a bit more remote. 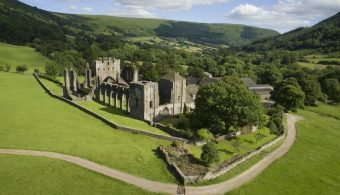 That way, you can wake up in the middle of the night and simply look out the window – no tour required! I highly recommend the Southern Lakes region, about an hour from Whitehorse, where there are plenty of remote accommodation options to choose from. More on those in a blog post soon! There’s no particular time of night that the lights come out to play; they don’t run on a schedule. Sometimes you’ll see them dancing at 9:30pm, other times at 6am, and plenty of times in between. They’re easier to spot in the dead of winter, simply because it’s darker for longer, but they can often be seen in spring and autumn too. For your best chance of seeing the lights, set your alarm for every hour or so and watch the sky for ten minutes to see if there’s any movement. 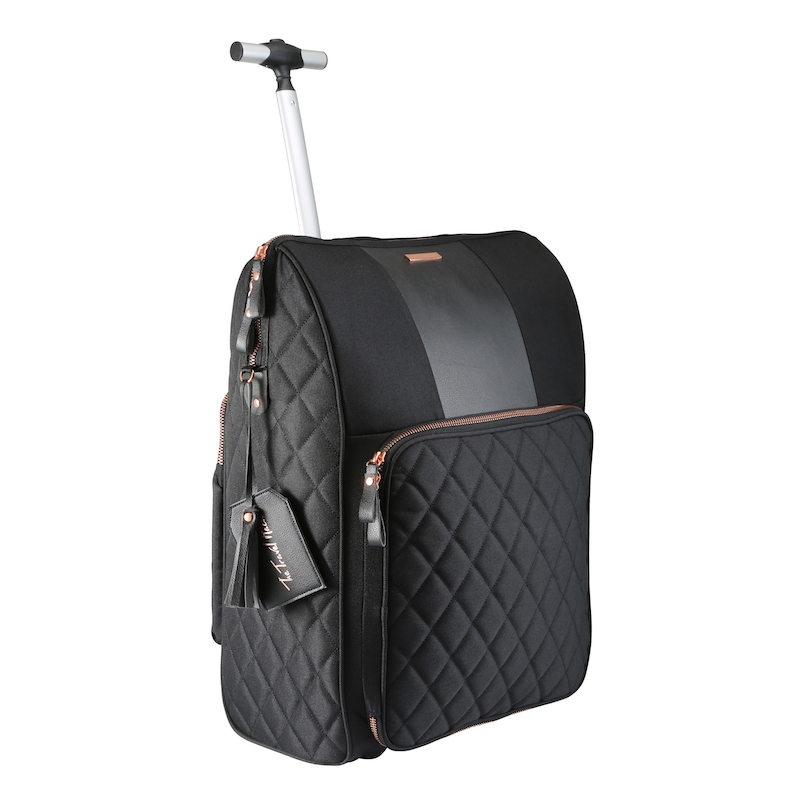 Sometimes a display will last for minutes, and other times for hours, so try to look as often as you can. It won’t be the most restful night’s sleep of your life, but it could also offer you an experience you’ll never forget. Although Whitehorse, and the Yukon in general, is an incredible spot for northern lights viewing, the lights aren’t visible every night. Sometimes the weather’s bad, other times the lights just take a night off. Nothing is guaranteed, but the longer you stay, the more chance you have of catching a glimpse of the magical aurora borealis. And trust me, there’s more than enough to keep you busy in the day while you wait for them to come out. There’s nothing more disappointing than booking a trip primarily to see the northern lights and then not seeing them. Trust me, I’ve been there. But there’s no need to have a disappointing holiday in the Yukon, as there are so many incredible sights to see and adventures to embark on, that the aurora becomes just an added bonus. I’ll be sharing some of the best activities to try in a blog post soon, so stay tuned! Taking an incredible photo of the northern lights is like trying to take a good passport picture. It can happen, but it rarely does. Someone told me while I was in the Yukon that the best way to capture the northern lights is in my memory, and I couldn’t help but agree. Unless you’re a professional photographer, it’s very difficult to capture the colour, the movement and the scenery while you’re in the dark without being able to see what the camera is focusing on, and all without moving the equipment at all. You’ll need a tripod at the very least, as well as a camera that allows you to select a long exposure. A remote control is a good idea too, so your camera doesn’t move when you press the shutter button. Don’t let this put you off trying though – it’s too beautiful a sight to resist snapping away. But the most important advice I can give is to remember to sit back and just enjoy what has to be one of nature’s most incredible and awe-inspiring sights. Have you seen the northern lights? What else would you add to this list? Thanks to Destination Canada and Travel Yukon for inviting me to the Yukon for the ultimate wilderness adventure! A fabulous account – you’ve really captured that excitement of seeing this wonderful natural spectacle! Who says that science and magic don’t mix, eh? !